We are embarking on a new construction build and family move. It requires a great deal of planning. Last week you saw the items I use to ensure the plans are just right and all the building information is in one place, organized and readily accessible. This week I am giving some tips on how to plan for living in your new home, ensuring the spaces and storage fit your needs. After all, why else would one go through the tedious process of building? The process begins with knowing what you have. This is yet another great time to purge! And everyone knows how much I love to purge! The point is not to make the move easier, but to ensure you are taking with you to your new home what you love and use. Knowing what you are taking, provides you the perfect opportunity to build the cabinets just right, include the perfect shelves in your closets etc… Too often we just get excited about a new home, new possibilities and we fail to remember the same people will be living in the new home, taking with them all their same stuff, including habits! The new plan not only needs to flow, but you need to know exactly what you will be doing in each room, how you will use the space, and what storage items you will be taking with you. 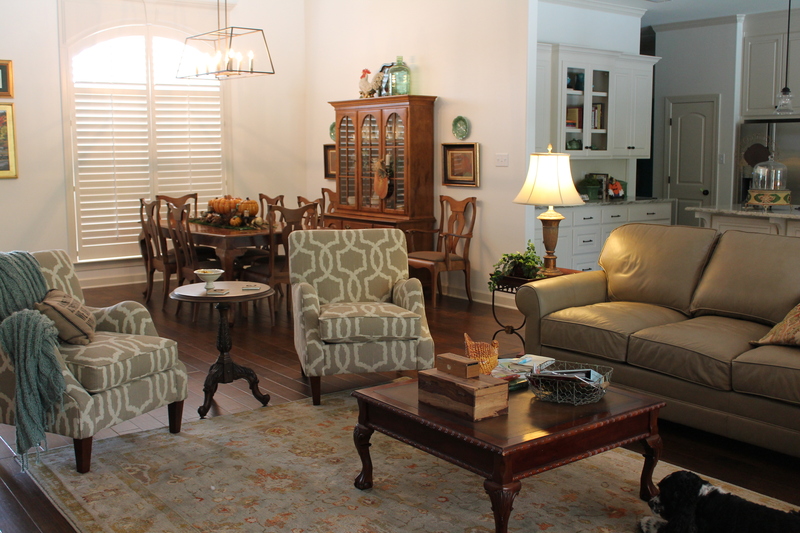 It’s the nitty, gritty details that will create the home of your dreams. You can have a great floor plan, beautiful flooring, extravagant light fixtures, but if you don’t have the right space for your stuff, you will be frustrated and unhappy. You might as well take time now to try to get it right! So, where to begin that overwhelming process. I begin by taking one room at a time. I write down all the things I love about the room. Next, I write down all the things I dislike about the room-decoration, function, storage etc… Then I attempt to brainstorm solutions. Once I have completed that process (which can take a couple of days and MUST include interviews of the other family members sharing the space) I get out the new plans and consider where and how I can implement the solutions. Most often this requires lots of measuring, looking on line for inspiration and even some catalog shopping. I know, it sounds tedious. It is a little, but it can also be inspiring! This week the Master Bathroom was assessed. Currently there are separate his and her walk in closets. The new space will have one big closet. Immediately it became apparent there would need to be some clear delineation using built-ins so the space felt “separate” and husband and wife each had “their” space. There is no linen closet, and neither party wants those items in the closet, so clearly some linen towers/cabinets need to be built into the separate vanities in the new home. 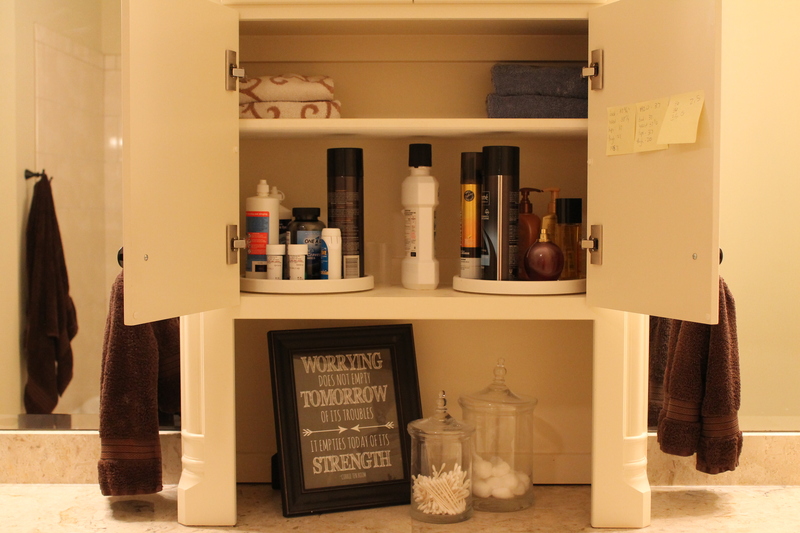 Neither husband or wife likes clutter, so drawers, and cabinets need to be able to hold toiletries and be easily accessible. 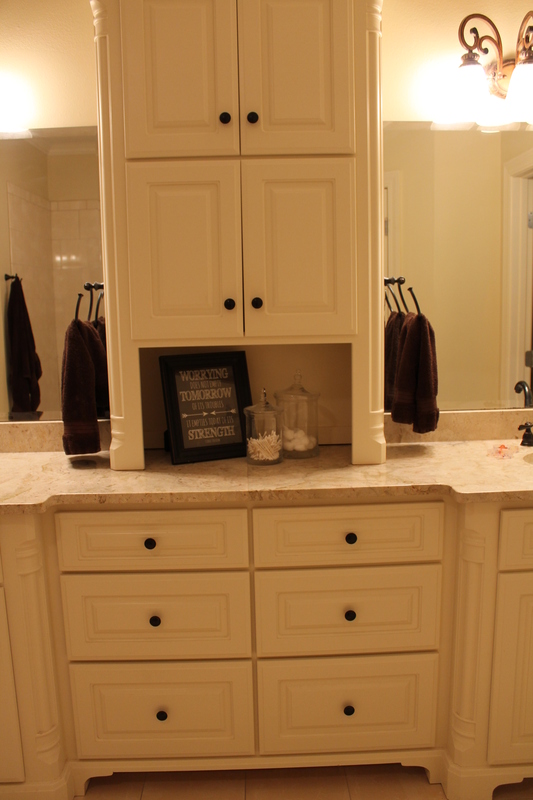 Here are some shots from the current master bath. The current bathroom has some great storage. This either needs to be replicated or cabinets with similar measurements built in the new house. The use of Lazy Susan’s is one of my favorite tools. In this cabinet there is a his and hers. The shelving is adjustable so tall items can be incorporated. Perfect spot for those items you use multiple times a day. 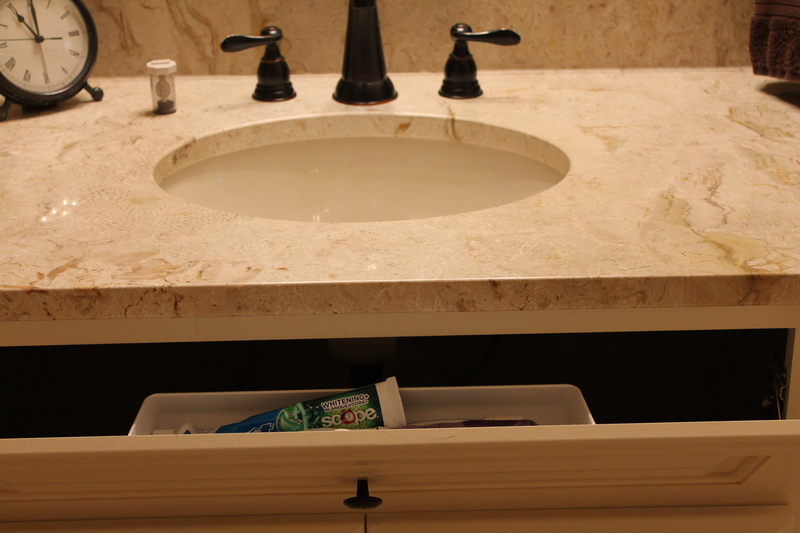 Another great space for storage is the front of the sink. A pull out tray is great for holding toothpaste, floss and toothbrush. If you choose to keep a toothbrush here just know you will have to wipe it down once a week to keep mildew from building up. 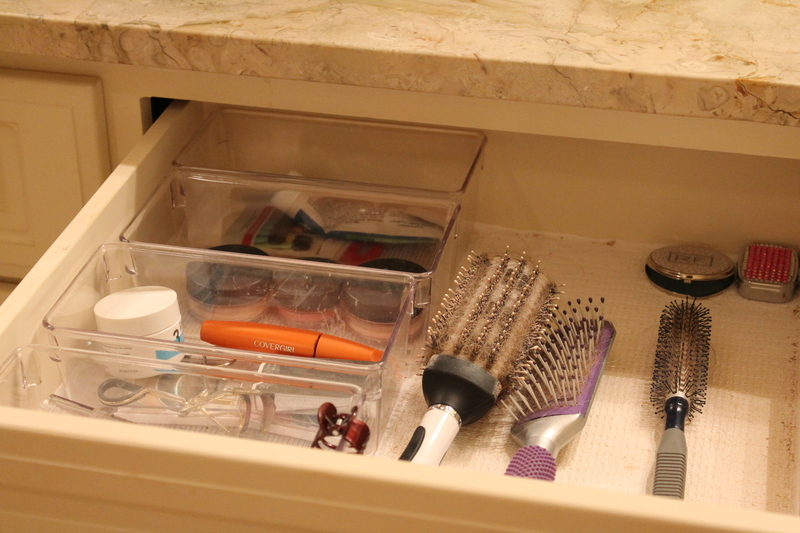 Clear acrylic trays are great for makeup, nail clippers, hair brushes etc… Again though. These items need to be measured and given to the cabinet maker so drawer dimensions will accommodate the storage items already owned and utilized. Storage over the toilet is a must for me. It just keeps life simpler. Toilet paper is in reach. Medicine can be kept sorted, contained and out of reach in handy $5.00 Rubber Maid white bins from Wal-Mart. Again, measure! I would not go to the expense of having adjustable shelving in here, making it even more critical you know your measurements and what you want to store. 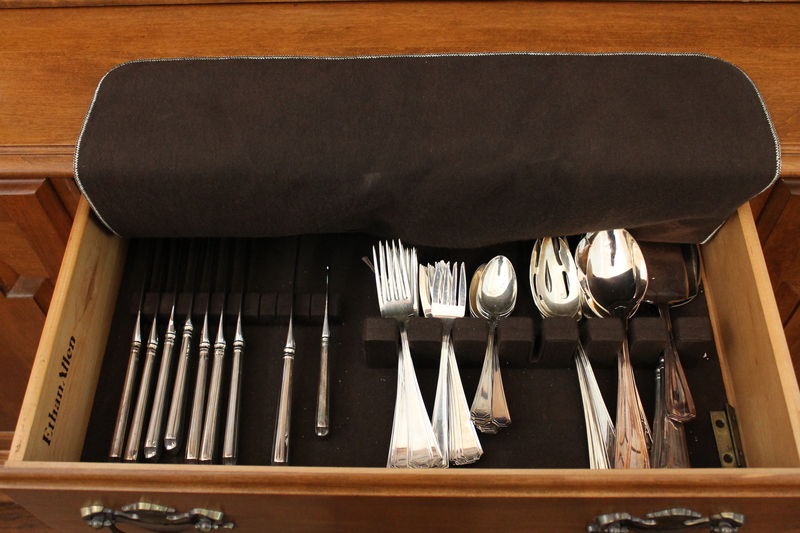 Having items already organized in this way also makes the move easier. 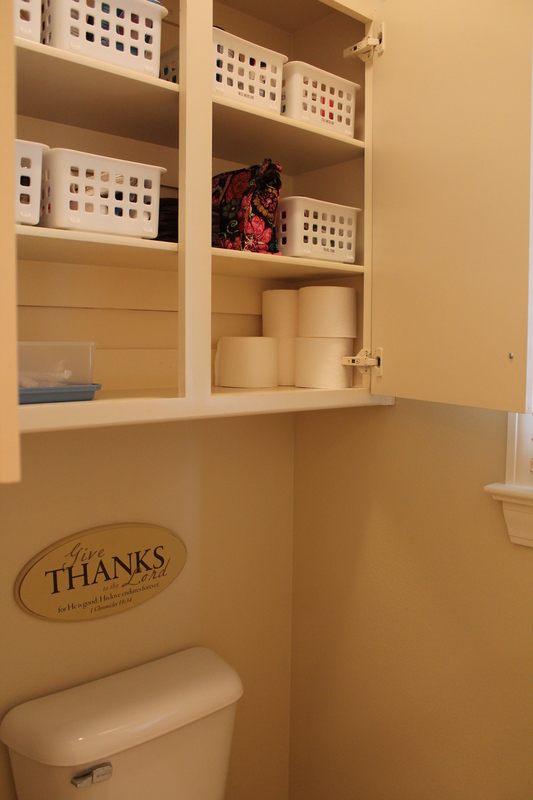 Like items can be packed together, the storage items placed in the same box, and in the case of the bins over the toilet, they can be packed with all the items remaining in them. The closets can be a little trickier. 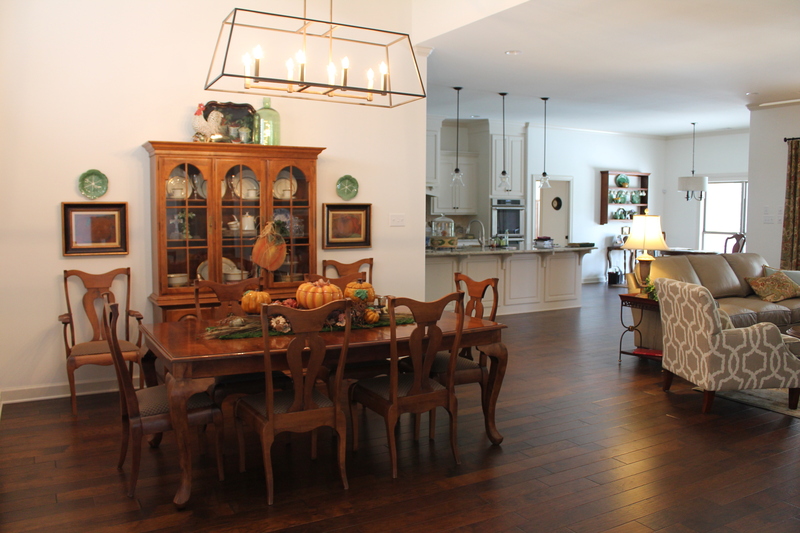 Remember, that the new space must be usable, not just pretty. And it must be usable for the person using it-not you as the designer or planner. 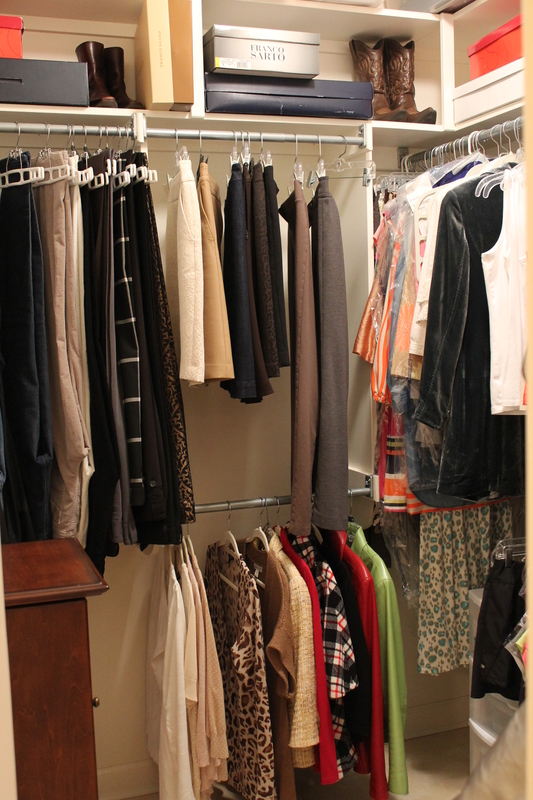 Rods should be hung at different heights-not just for pants, dresses or etc… but also based upon the height of the person using the closet. My husband’s rods are hung 8 inches higher than mine. This eliminated an extra shelf in the top of his closet, but ensured taking things off the rods would be comfortable, and his clothes would not drag the floor. 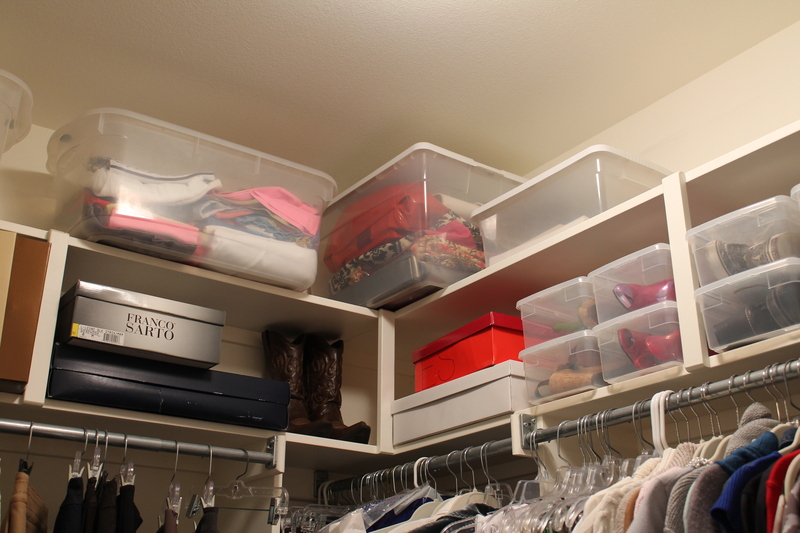 It is important to also include shelving for shoes, or if like me, space to place a store purchased shoe organizer. What are we doing different? We will have a second linen tower. I don’t keep a lot of linens (remember only two sets of towels per person) but we still seem to need more storage than we have now. We have also agreed we would like space to sit in the new bathroom or master closet, along with a landing spot for rings, watches, wallets etc… The decision has been made there will be two chests, one on each side, of the new closet. I have also determined that in the middle of the closet, tucked close to a center wall of shelves (16-18 inches deep for shoes and storage bins) will sit an old hope chest from my husband’s family. It has been an item moved from place to place, never quite finding a home in the current house. A pretty rug underneath and maybe a seat cushion will turn it into functional storage-perfect for keepsakes, special blankets and a place to sit and put on shoes. I am thrilled to know this family piece will finally have a home, serve a purpose and no longer prove to be a decorating challenge. Going through this process took some time. I had to take extra time to really talk to my husband about his ideas, things that worked or didn’t work. I had to be intentional. That theme has been running through my life. Maybe I need to call it the Intentional Home, in lieu of the Well Planned Home. Being intentional makes us better. Being intentional provides opportunity for creating better spaces. Being intentional makes us think about how we live, what we want to change, what we love and who we are. Whether you are moving, building, or just trying to get your home in order, remember just that. Be intentional. Next week I’ll hit the kitchen. Hmmmm-dishes are my weakness, this could be tough. January is typically the month retail stores put linens on sale. I kind of like the idea-new year, new sheets! However, as we all know, linens aren’t cheap to begin with, so even on sale, they can still be pretty expensive. So each year, as much as I’d like to run out and get new sheets, new towels, and refresh my home, I have to stop and really consider my needs. 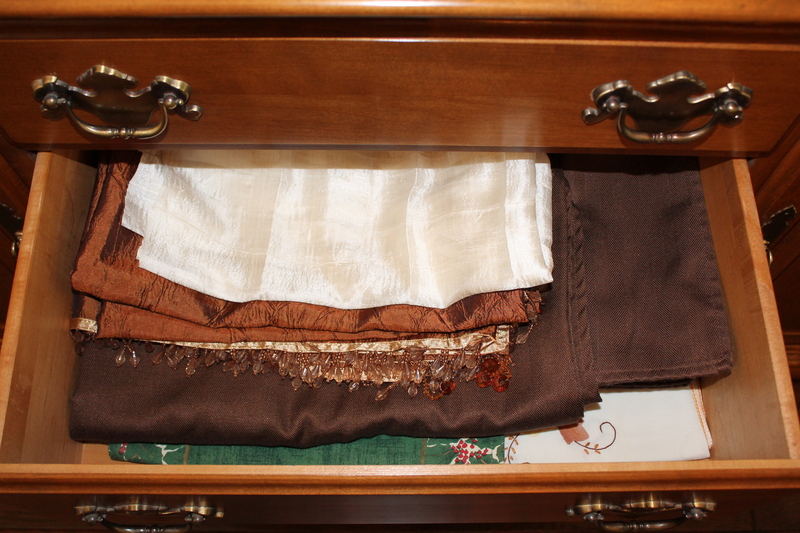 I have also learned, as I carry out my organizing services, that all too often it is linens that take up valuable space in a home. So, I thought I’d share a few of my linen tips and challenge you (as well as myself) to do a little January linen check-up over this next week. As an organizer my desire is to help people uncover their spaces-get rid of the clutter, unveiling the beauty of their favorite spaces and items. 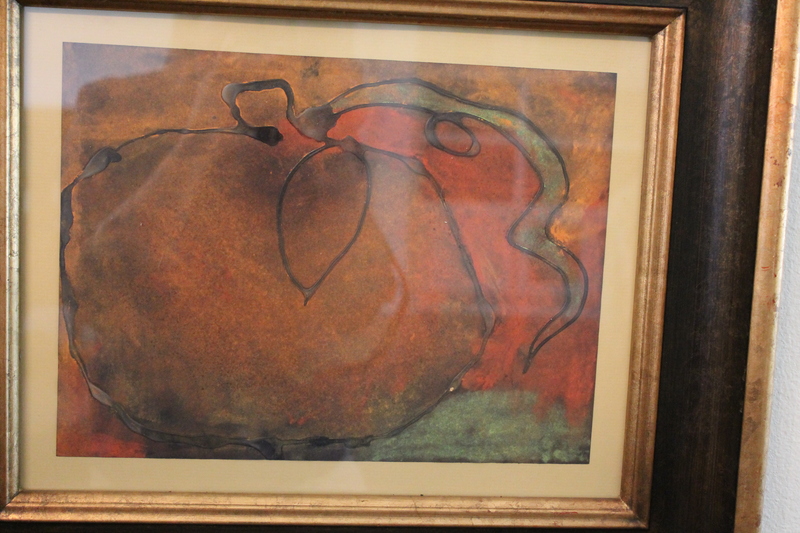 All too often the things we value most, the things holding memories, the things we saved and scraped for, sit buried in a storage bin or at the bottom of the closet under piles of items of lesser value-both monetarily and sentimentally. I find that sad. I am a firm believer in using and living daily with the things we value most. Why not?! What are we waiting for, saving them for? Using my mother-in-laws vintage pink china brings fond memories and prompts wonderful conversations with my girls about the gentile lady they never had the chance to know. I’d rather risk a broken piece or two than never use it, never share in the memories, never honor her. Pulling out my Japanese tea service reminds me of my “second home”, the hospitality of a people I grew up living with, and the love my paternal family has for Japan. Again, great conversations take place as I reminisce with my daughters, sharing stories of a country and world that seems so very far off to them. And this time of year, pulling out family quilts, hand knit blankets, seeing the names of kinfolk I never met, again reminds us of our heritage, propels us to inquire, look back. Things, stuff-we can accumulate too much. 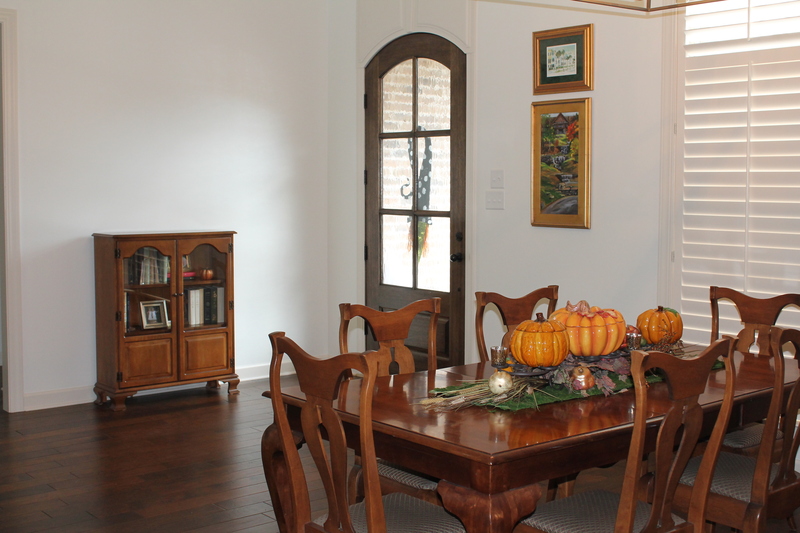 We can hoard our things, never enjoying them or sharing them and their stories with others. OR, we can live with our things, let them serve their purpose and bring value to our lives. So, what do you have hiding in the closet? What things do you have packed away for the “some day”? I bet a lot of them are in the bottom of the linen closet. That, or they are in the attic sight unseen because you have no room in any of your interior closets in which to store them. Get busy, get ready. Clean out your linen closet (wherever or whatever that looks like) and make some room for those items you love, those special items holding memories and value. First, know that you only need two sets of sheets per bed. Seriously, that’s it! And in all reality, unless you have a different size bed in every room, you can get by with only one extra set of sheets per size of bed. (ie-if you have 4 twin beds, you only need 5 sets of twin sheets) In reality most of us strip the bed, wash and dry the sheets, and put them right back on. Genius! There go, minus a middle of the night bed accident (illness, bed wetting) you will rarely pull out the “extra” set. This means you can invest in better quality sheets, purchasing fewer sets. Second, you only need two sets of towels per person. Again, most of us throw the towels in the wash, dry them and hang them right back up. 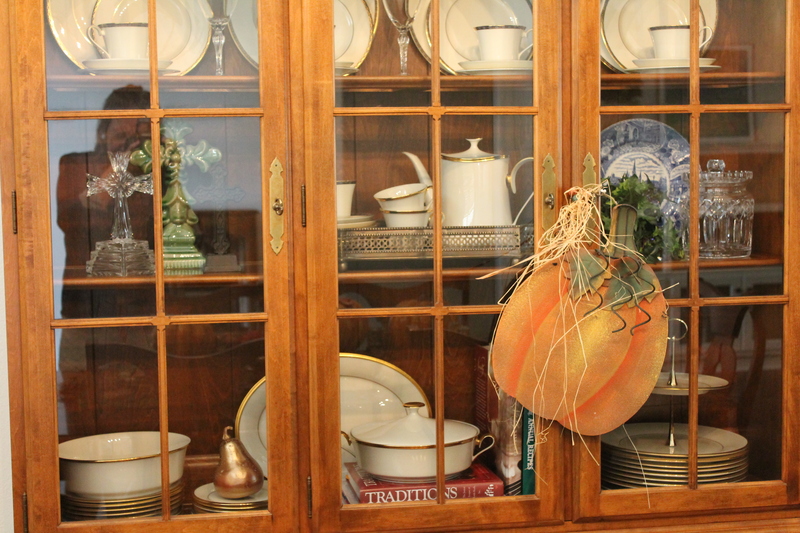 All those decorative sets we purchase stay in the closet gathering dust. Third, if you really want to simplify, purchase all white linens. They go with everything. They can be bleached. You don’t have to keep up with matching sets. Now, I will tell you, I lived with this rule until my girls reached school age. Now, as girls we just can’t resist the cute chevron, polka dots, vibrant sherbet colors… I gave up the all white towels (except for kitchen dishcloths), but I have NOT given up the two sets per person rule and we still have cream or white sheets for all. Fourth, remember linens are expendable. They are meant to be used. Whether we are talking about bed linens, kitchen linens or bath linens. They are made to be hard working items. They are meant to be of service to us, to bring comfort to us, to add some “pop” to our decor. They can’t fulfill their role if we leave them in the china cabinet, back of the pantry or bottom of the linen closet. 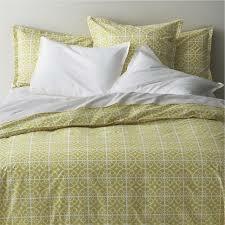 Fifth, when it comes to bed linens please know that higher thread count DOES NOT mean better for you. The higher the thread count the tighter the weave. Now, this does make the sheets feel silky smooth, but on the negative side, it also means your skin can’t breathe. That’s not good. And if like me, you are entering menopause, that REALLY isn’t good. 400 thread count is actually the ideal count. Some added softness, but a broad enough weave your skin can breathe. Where to begin. Start wherever you keep the majority of your linens. Pull them all out. (or go one room at a time) Throw away any thread bare or incomplete sets. Throw away anything stained (especially place-mats, napkins or kitchen towels) If you don’t want to throw them away take them to the local animal shelter. (But please, please do not take them to Goodwill.) Next, pick your favorite two sets. All the rest I hereby give you permission to take to Goodwill or your favorite organization. Do it! I don’t care if they are in perfect condition. I don’t care if the napkins and place-mats would be perfect for a beach themed pool party. If you have never used them, haven’t thought about them in a year, you don’t need them and they are robbing you of the space for something else of value. 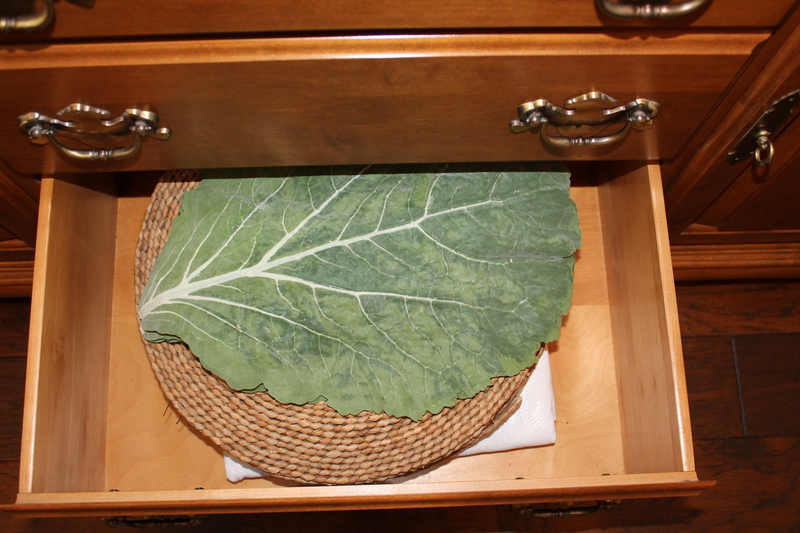 You will be amazed at the room you create in your storage space-be it drawer, cabinet or closet. If at the end of the process you are left with nothing, then go out before January 31 and purchase some fresh linens on sale. Just make sure you keep in mind the rules above! I’m tackling my spaces tomorrow!